I am so excited about today’s post, y’all. Bourbon. It’s one of my favorite spirits for cocktails, and that’s why I made it the official spirit of Feast + West‘s birthday month — January. 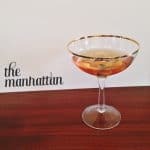 Today, I’m sharing a bourbon guide for all your cocktail-making this month. 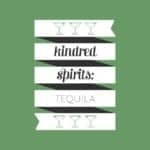 As I mentioned on Friday, I’m going to try focusing most of my Friday Night Delights cocktail posts each month on one spirit at a time. 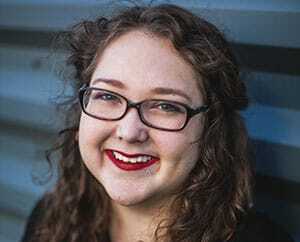 I also want to teach you about your cocktail spirits, so you can know more about what you’re putting into your drinks and feel more confident choosing the right liquors. You can buy one bottle each month and learn to make a host of cocktails with it all month long. It’s going to be like book club. (With booze!) 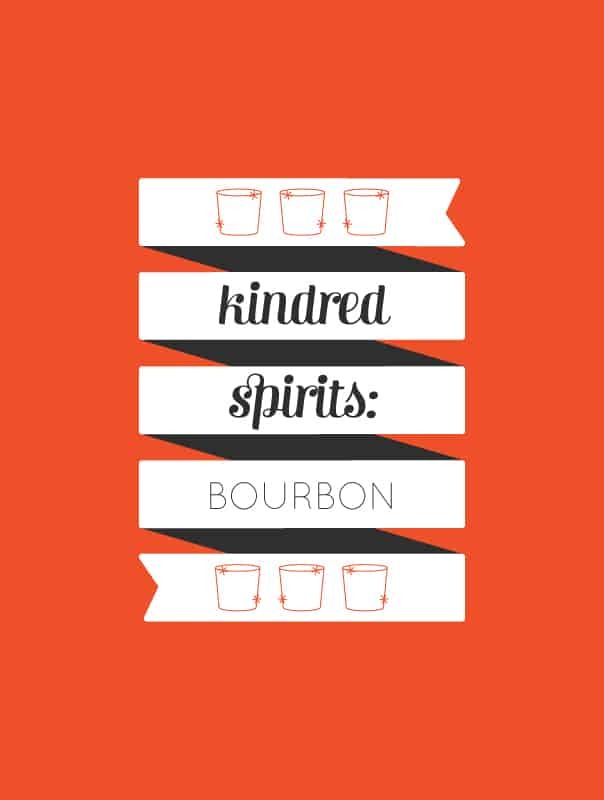 I’m calling this column ‘Kindred Spirits,’ because I think most liquors have something to love about them. Even gin — I’m learning to like it. OK, ready to talk bourbon? Bourbon, or bourbon whiskey, is an American whiskey — an oak barrel-aged, distilled spirit made primarily from corn. The name comes from French. Bourbon is well-known for being made in Kentucky, but it may be distilled anywhere in the United States where it is legal to distill spirits. Bourbon is seeing a big boom in the expansion of craft distilleries. The United States and Canadian laws regulate that any product labeled ‘bourbon’ must be made in the U.S. Bourbon is made from 51 percent corn. The other 49 percent is a grain mixture known as the ‘mash bill,’ usually a combination of barley, rye and wheat. Bourbon must be aged in new, charred oak barrels and bottled at 80 proof or more, which means it is 40 percent alcohol by volume. Whiskey is different from bourbon because it generally made from any grain, not just corn. If a bottle is labeled ‘single-barrel,’ the bourbon has been bottled from just one barrel, so it’s very pure and therefore rare and more expensive. If it’s labeled ‘small-batch,’ the bourbon was bottled from a few select barrels. If it has neither label, lots of barrels were combined to make it. 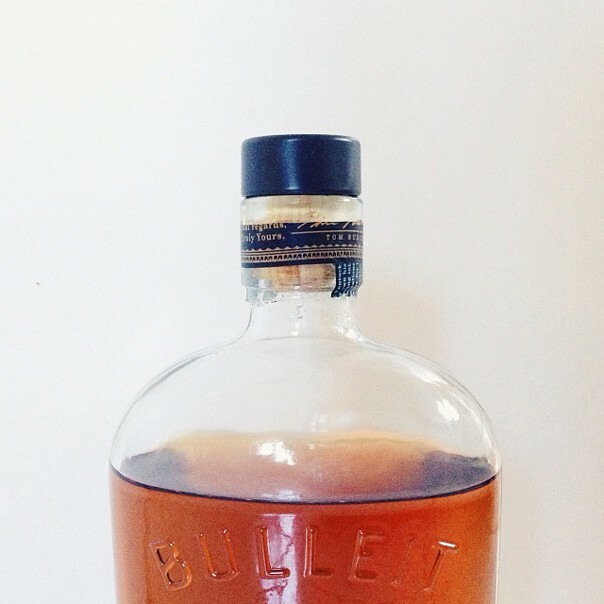 Bourbon has no aging requirements, whereas straight bourbon must be distilled for at least two years. Some bourbons have age statements on the bottles, which tell you the age of the youngest bourbon in the bottle. Bourbon may not have added color or flavoring. What it tastes like: It depends on the brand, but bourbon can taste dark, fruity, woody, spicy or floral. It can also nod to citrus, toffee, caramel, chocolate, coffee or vanilla flavors. How to drink it: Smell it first. Pour it into the glass, then take a whiff. Swirl it around as you take a second sniff. Then take a sip. This allows your taste buds to adjust slightly before you take in this flavorful spirit. 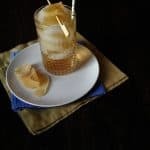 I like to use whiskey stones or ice balls when I drink mine on the rocks, rather than with regular ice, because it keeps the bourbon from getting too watery too quickly. Previous Post: « Hello, 2015! Happy birthday month BFF! 🙂 I love the new column idea – so much fun!! Not my favourite alcohol…. my spouse, on the other hand, lives for old fashioneds! I love a good old-fashioned too! Bourbon is definitely an acquired taste. I have a few cocktails coming up this month that are a bit on the sweeter side so you might enjoy them! Oh my goodness, a book club for booze. You are my hero. Some other brands you might consider, incidentally: Willet (high proof, but not as hot as Bulleit), Prichard’s (incredibly smooth, a little caramel-y), Basil Hayden (what I drink if I can’t find Prichard’s), and Michter’s (outstanding at this price point). All of these make exceptional cocktails, but they also shine served neat. Okay, rye is good, too. Oooo bourye! Do bouryes! That is incredibly helpful. 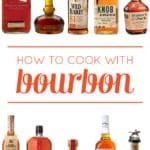 I definitely haven’t forayed into the finer bourbons yet, but I am definitely going to have to try some of these! Thank you so much for sharing these, friend!